Saudi Arabia’s nuclear energy program is barely in its infancy but has already spurred much controversy. Amid a regional standoff between Saudi Arabia and Iran and provocative comments from Saudi leaders, some observers worry that the program is little more than a pretext for developing nuclear weapons. Others, however, point to what they see as legitimate peaceful motivations for the program. They note that as a member in good standing of the U.N. Treaty on the Non-Proliferation of Nuclear Weapons (NPT), the kingdom is in its full rights to pursue a nuclear energy program, including uranium enrichment and spent fuel reprocessing, the two dual-use technologies that can be used to produce fuel useable in nuclear reactors and also produce the highly enriched uranium or separated plutonium needed for nuclear weapons. As the U.S. and Saudi Arabia negotiate their nuclear energy cooperation agreement, U.S. policymakers have sought to strike a deal that would minimize the risks of Saudi Arabia pursuing a weapons path while positioning U.S. firms to compete against foreign competitors like Russia and China for lucrative contracts and geopolitical influence. As the international community assesses the Saudi program’s goals, they are likely to judge the kingdom’s intentions in reference to two other nuclear energy models in the Middle East—Iran and the United Arab Emirates. Iran’s nuclear program is widely considered as a pretext for a nuclear weapons program. While Iran’s enrichment and reprocessing capabilities did not violate the NPT per se, the fact that it hid them for many years was judged to be a violation of Iran’s safeguard obligations by the International Atomic Energy Agency (IAEA) and the U.N. Security Council. Moreover, there is little plausible economic or technical rationale for Iran to possess such capabilities at this time or for the foreseeable future. Iran holds that it needs to enrich uranium to fuel its nuclear power plants. However, given the huge surplus of enrichment capacity and low market price of nuclear fuel, it is economically impractical to operate an enrichment plant for a nuclear power program that produces less than 25,000 megawatts of electricity. In addition, any supply shortages can be offset by the IAEA-managed International Fuel Bank in Kazakhstan. While Iran claims that it does not want to rely on outsiders to sustain its program, in reality it is open to such arrangements. According to a supplier agreement signed between Iran and Russia, Iran’s only nuclear power reactor at Bushehr must be fueled with Russia-supplied fuel. It is doubtful given the suspicions surrounding Iran’s program that any future supplier will agree to more relaxed terms. In addition, under the supplier deal Russia will also take back spent fuel from Bushehr, a step meant to ensure it cannot be diverted into a weapons program. Iran has adamantly denied it ever had a nuclear weapons program. However, intelligence agencies the world over have long raised questions about apparent Iranian weaponization activities. Israel’s recent public disclosure of Iran’s past nuclear weapons plans added fuel to these long-held suspicions. By contrast, when the UAE made the decision in 2006 to embark on its own nuclear energy program in the wake of IAEA concerns over Iran’s nuclear program, it purposefully took every step possible to ensure the international community that its nuclear program would be used solely for peaceful purposes. To this end, the UAE adopted steps to demonstrate its good intentions and restrain its capabilities. In April 2008, the UAE released a comprehensive white paper about its program’s objectives and motivations. On the capabilities side, the policy document outlined the UAE’s plans to receive nuclear fuel from “reliable and responsible foreign suppliers,” rather than develop its own domestic enrichment and reprocessing capabilities. In May 2009, the UAE and U.S. signed a nuclear cooperation agreement explicitly prohibiting the UAE from having enrichment and reprocessing activities and facilities within its territory. To strengthen this commitment, in October 2009, the UAE adopted domestic legislation to permanently forgo the acquisition of uranium enrichment and plutonium reprocessing capabilities. The UAE also took additional steps to garner the broad international support it enjoys for its nuclear program. These include an emphasis on transparency by publishing the strategy paper; clarifying the motivations of the program and how these could be achieved in a way that is both economically tenable and commensurate with its needs and capabilities; involving the IAEA early; establishing an International Advisory Board with well-regarded senior figures in international nuclear policy making such as former IAEA Director-General Hans Blix, and publishing its Atomic Energy Agency, regulatory, and Advisory Board reports online in both Arabic and English. The UAE also conducted outreach to explain the program to domestic and international stakeholders. Moreover, the UAE established an independent regulatory body to ensure the nuclear program is to the highest international standards of nuclear safety, security, and non-proliferation. That is not to say that the UAE program has not suffered from setbacks and challenges—it did and still does. However, these are mostly due to a lack of capacity and expertise within the program rather than doubts about the UAE’s intentions. Saudi Arabia’s nuclear program is at a crossroads in which its leaders need to decide which model to follow. It is early enough in the program to reverse some statements that cast serious doubts on Riyadh’s real intentions. These include statements by its leaders that Saudi Arabia wants to pursue enrichment, their intentions to develop nuclear weapons if Iran does, and to build a canal along its border with Qatar to be used as a nuclear waste site. 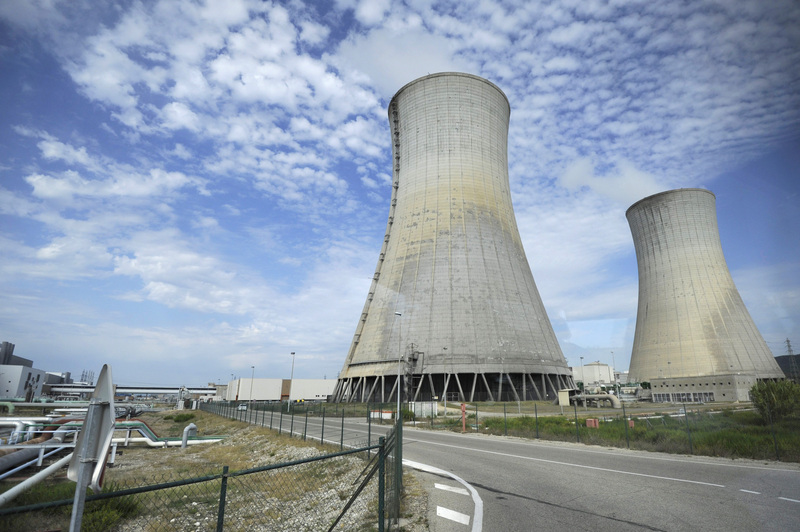 To demonstrate its peaceful intentions, Riyadh at the least should adopt the Additional Protocol, an agreement that provides the IAEA additional monitoring and access rights, and agree in its reactor nuclear supplier agreement to acquire nuclear fuel from foreign suppliers for the entire life of the reactor, and the return of spent fuel from the reactor to the supplier. Short of adopting the UAE model of forgoing enrichment and reprocessing, Saudi Arabia should commit to not pursue these technologies as long as its program does not justify it economically and technically.